Our distinguished firefighters heed the call from taming wildfires to rescuing a cat stuck in a tree. A trusty dalmatian and fire hydrant are also included to lend a hand. 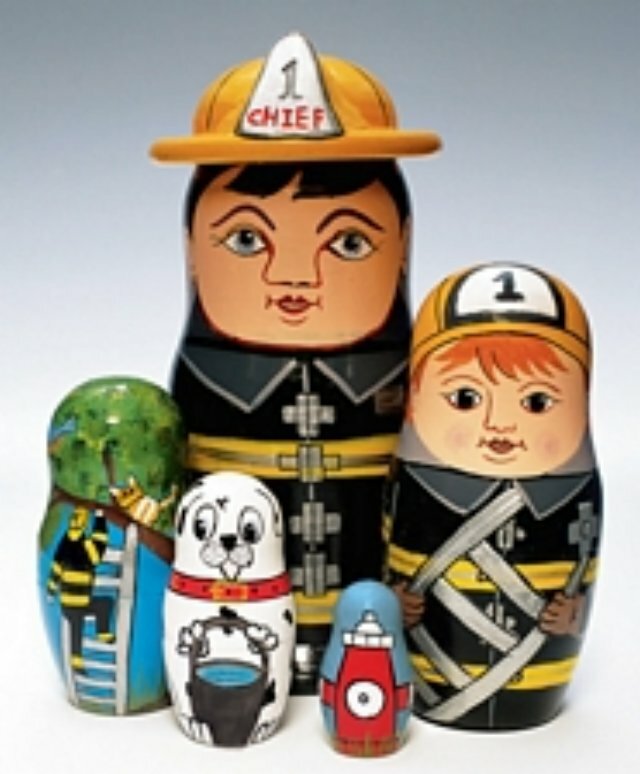 A great gift for anyone in awe of our fire fighters or a must have addition to your collection. There are five dolls, the largest measuring 6" high.